The first two, tools and materials are easy to list. The third, knowledge, is more complicated because of all the variations in types of bookbinding. The good news is that mostly what you need are common household items. Click here for a more thorough list of book repair tools and materials. Typically when something is broken in our own home, we reach for whatever is handy to fix it quickly. In many cases what is handy is Scotch tape. Tape can be perfectly acceptable for repairing books that are destined for the trash can at some point in their future. If, however, you want your book to last a long time and you want to preserve the value, you will consider more archival materials. Really all you need is a bit of strong Japanese tissue and some archival paste and/or glue you can accomplish many simple book repairs. Japanese tissues of various weights from the lightest hinging tissues at 12 gsm up to heavier Sekishu at 30 gsm and even heavier for new spines. Adhesives: You need both archival rice (or wheat) starch paste and an archival white glue such as Jade 403. The first is the process of binding (putting together) a book. 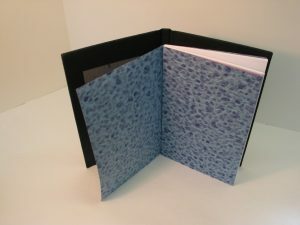 It is also the term for the covering that is created when a book is bound. 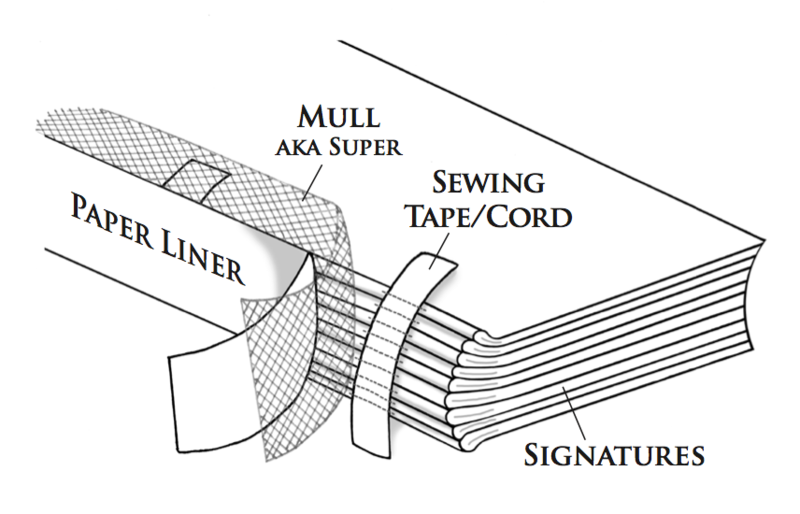 There are many kinds of bookbindings (book covers) and many methods of bookbinding (putting together books). 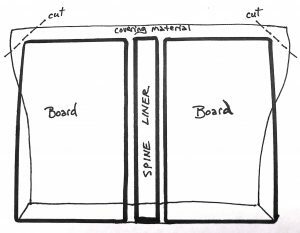 In this post I am only covering one type of bookbinding known as case-binding a.k.a. a case-bound book. This is your typical modern style such as you might find in any library. The cover is constructed separately from the text-block and then they are bound together. Case and text-block before being connected. Note the colorful end-sheets. 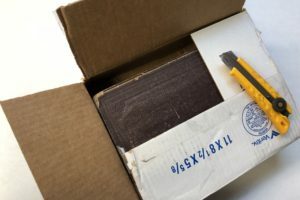 These are the first three steps to begin repairing your book. For more instructions go to the Book Repair Courses page. How do I Fix a Broken Book Spine?